While metal roofing is traditionally thought of for post frame buildings and pole barn construction projects, it has become extremely popular for residential structures and home roofing replacement over the past few years because of it’s many benefits over traditional asphalt roofing. 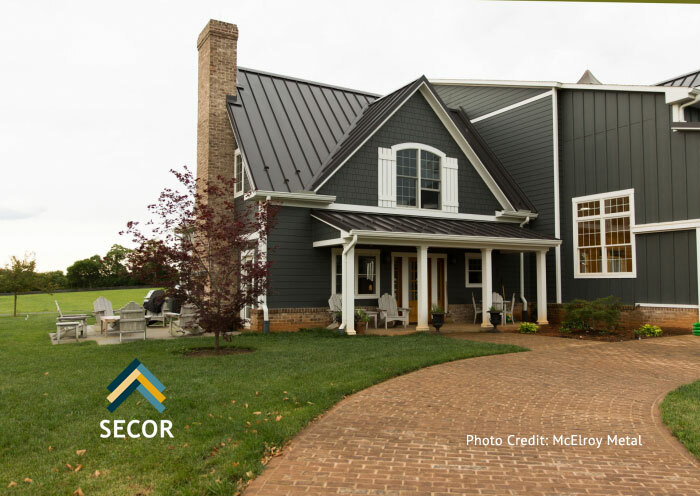 While this isn’t meant to be an exhaustive treatment of the subject, here are our thoughts on what makes metal roofing such a good investment for residential home building and roofing repair. A properly installed metal roof won’t degrade like traditional asphalt roofing. This means fewer homeowner roofing repairs and replacement which helps lessen future roofing repair expense. A typical metal roof has an expected useable lifetime between 40 and 70 years. Regardless of the structure, as the building ages the weight of a roof combined with environmental factors can cause structural movement and damage. Metal roofs offer the lowest weight residential roofs available. This low weight is also a reason that metal roofs can also be installed over existing shingles, eliminating landfill disposal problems and expense. Through reflective coatings and integrated thermal breaks, metal roofs can reduce the cooling cost in summer months by up to 20% or more. Metal roofs can be adapted to almost any roof layout or home design. 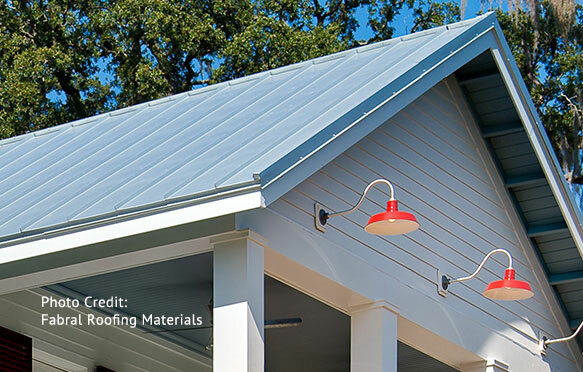 There are metal roofing products that are used on low and steep pitched roofs, there are even options that give the appearance of wood shakes, slate, and tile. And there are even products that are suited for rounded or arched roofs. Traditional roofing materials often rely on sealants that are often prone to failure such as flashings, dead valleys, and transitions. When using metal roofing, those areas can be flashed with matching metal that is more reliable and lasts far longer than sealants and adhesives. On the down side (perhaps), metal roofing must be carefully flashed to your customer’s roof configuration. Because of this, the installation process takes longer than what you would have when installing asphalt shingles. This clearly adds to the cost of the installation. From a building materials standpoint, steel is also more expensive than asphalt. But homeowners who invest in metal roofing are often those who feel they are investing in their “forever” home, and are looking at the long term cost of homeownership and home maintenance. As a result, they are making an investment in a higher quality roof that will last considerably longer than the alternative. When combined with demonstrated energy savings, it becomes an easy cost/benefit analysis, and all things being equal, the metal roof will win more times than not. The sound you get from a metal roof when it rains may not be what many homeowners expect or anticipate. While you do get a slightly louder rumble or sound level, the sound is never “tinny” unless you are near an open window during a light rain. The folds and bends that are put into the metal are done to break up the “soundboard” effect. If a homeowner is concerned about the noise sensitivity, there are steps that can be taken to help keep the sound emanating from the roof more quite. Asphalt roofing starts to degrade the moment it is installed. Over time this can affect the overall appearance of the structure and it’s curb appeal. A metal roof, on the other hand, can keep that new roof look far longer and that can help the curb appeal of your customer’s home as well. 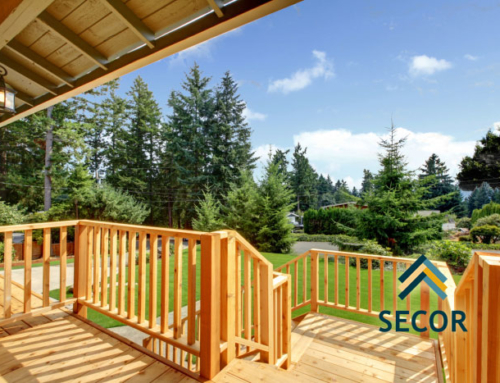 Residential Construction Projects: What About the Budget?